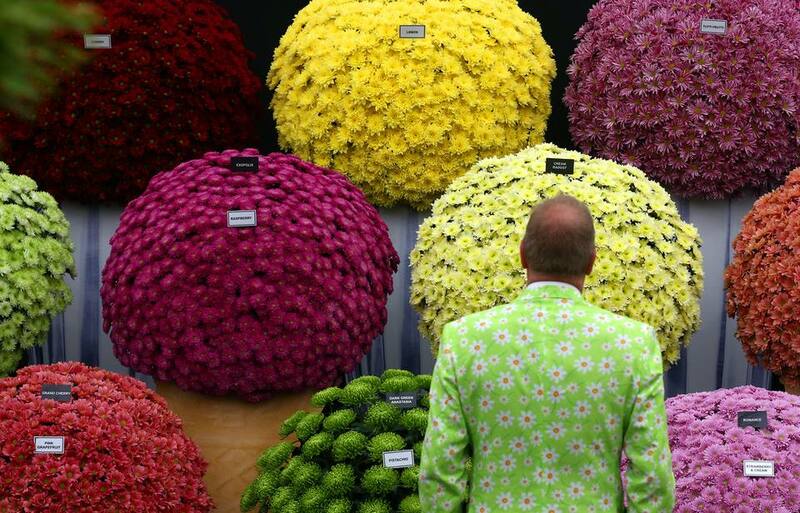 The RHS (Royal Horticultural Society) Chelsea Flower Show is the perfect event for fans of all things floral. It's the plant breeders' favorite place to unveil new plants and the Great Pavilion often provides the first glimpses of the newest horticultural gems. The RHS Chelsea Flower Show has run annually since 1914 and is the ultimate event in the gardening calendar. Held on the grounds of the Royal Hospital Chelsea, the RHS Chelsea Flower Show is the world's most prestigious flower show. Nowhere makes gardening more fashionable than Chelsea, with a catwalk of color and creativity, the brightest new ideas, the latest plant trends and the pinnacle of garden design, this show is one the world wants to see. The biggest attractions at RHS Chelsea are the spectacular Show Gardens. They act as perfect examples of horticultural excellence and innovative landscape design. Traditional designs, materials, and methods are revitalized by new approaches to craft and craftsmanship with the Artisan Gardens at RHS Chelsea. Representing some of the most imaginative and inspiring designs, these smaller gardens put a modern twist on timeless garden ideas. Fresh Gardens, fresh in nature as well as in name, aim to redefine the perception of the garden. Taking more of a conceptual approach, they embrace new technology, trends, and materials to create truly innovative designs. The jewel in RHS Chelsea's crown is the Great Pavilion, which not only features over 100 nurseries, new and old but also houses the Discovery Zone, an area dedicated to highlighting the very cutting edge in horticultural technology. An array of Trade stands to transform the showground into a shopper's paradise, each selling the very best in garden structures, accessories, and products, complementing the quality of the gardens and floral exhibits on show. When: Annual May event in London. Check the website for specific dates. Tickets: Ticket prices start from £33. All tickets must be booked in advance as there are no tickets available at the gate. Opening Hours: 8am–8pm, except Saturday 8am-5.30pm. Note: Tuesday and Wednesday are for RHS Members only.